You are here: Home / Guides / How Much Should I Eat Daily To Control My Blood Sugar Levels With Diabetes? The types of food you eat, when you eat them, the timing of medications and even physical activity levels can all affect blood sugar levels. A good component to type 2 diabetes management is keeping your blood sugar levels under control as best as possible. The road to management can be a challenging and winding one. The day-to-day efforts you put in trying to ensure you maintain your target blood sugar levels, can sometimes seem like minute-to-minute efforts. You’ve learned how to check your blood sugar, what medications you should take, recommendations on what you should eat, but have you learned what foods work best for you and your blood sugar levels. 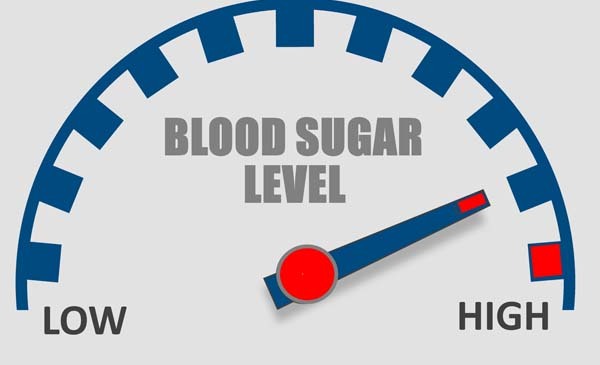 Blood sugar levels are the one consistent factor in diabetes management that everyone, including doctors can agree require more information on how to manage them more effectively. What’s The Big Deal on Blood Sugars? Type 2 diabetes happens when your body is no longer sensitive to the insulin, or it begins to develop a delayed response to the way insulin is secreted to change your blood sugar levels. Beyond the complications associated with diabetes, high blood sugar levels can gradually do damage to all the blood vessels in the body. Over a longer period of time, these elevated blood sugars and damage can lead to a bigger problem of the loss in sensation throughout the body, particularly in the legs and feet. This condition is known as neuropathy. Deterioration of your eyesight, reduced kidney function and an elevated risk for heart disease are also potential complications. Episodes of hypoglycemia, or low blood sugar put those with type 2 diabetes at just as high of a risk for complications. Loss of consciousness, confusion, risk of seizures and potential brain damage when levels are too low for too long, are all serious threats to your health. The good news is, through proper control and management, these potentially dangerous side effects and complications of blood sugar fluctuations are at a reduced risk. 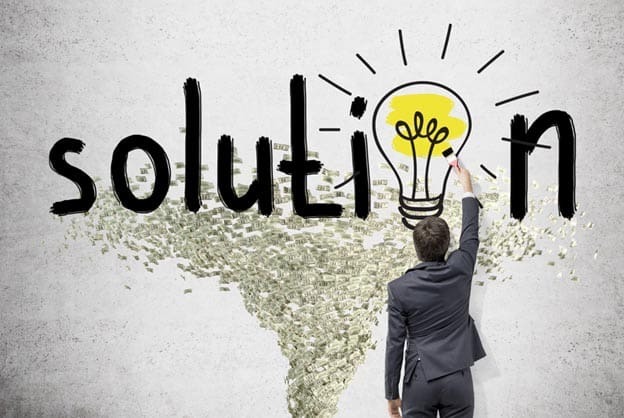 So, the question remains, what can you do to ensure proper management and control? The first and most important step is to discuss with your doctor what steps you should take to ensure proper blood sugar control. One of these first steps that your doctor may recommend is to determine the best target range for your blood sugar levels. While there are some ‘basic’ recommendations, everyone is different, so these common targets may not necessarily be the target level for you. Once you’ve determined your target range, the best way to ensure you are hitting these goals is to test frequently. Your doctor or diabetes care team will discuss with you their recommendation on how many times daily you should be testing. By testing frequently, and logging your blood sugar numbers, you and your doctor can take a look at how good medications, diet and activity levels help in the process of your management. We’ve already discussed how blood sugar levels and learning to detect a more consistent pattern can help you, along with your doctor, determine a ‘target’ or goal range for management. So what is food’s role in all this? Well, food plays a HUGE role in the management of type 2 diabetes. Virtually everything you eat has calories. Calories are one piece of the bigger picture when it comes to determining the types of foods that are more beneficial to the management and control of your blood sugar levels. Honestly, I really don’t like the term ‘diet’ thrown around when it comes to type 2 diabetes management. To say you have to go on a diet, seems to be very restricting. Learning how to develop meal plans for your management are more of ‘lifestyle changes’ rather than ‘diets’. To really understand what types of meal plans and foods can help, you need to first get a more detailed picture of what is expected. People with type 2 diabetes are generally recommended to consume no more than 1,500 to 1,800 calories per day. This type of ‘lifestyle change’ helps to promote the maintenance of a healthy weight and food consumption for the management of their blood sugar levels. Your recommended calorie total may vary from these averages depending on many different factors such as weight, overall health, and other concerns from your doctor. If your doctor has recommended you work towards losing weight, they will help to determine with you and possibly a nutritionist, who is a member of your diabetic care team, what caloric total is best so that you don’t lose too much weight too quickly. Men typically require more calories than women due to their increased muscle mass. Muscle burns many more calories each hour than body fat, so this is another factor that your doctor may take into consideration. The total number of calories you need each day, as discussed will vary, based on many different factors. You’ve probably have become familiar with carbohydrates since your diagnosis. Carbohydrates are what the body converts into glucose in the blood stream after they are consumed. Almost 100% of the carbohydrates consumed are converted into glucose within 90 minutes. They can increase the levels in your blood sugar, so it’s important to understand how they affect your body and what they mean in terms of your new way of eating. Understanding how the different types of foods and nutrients in those foods affect your blood sugar level usually make it much easier in gaining control and working to manage your levels within your recommended target range. One of the first steps in accomplishing these goals is to do some ‘homework’. A good rule of thumb, when you are really trying to understand how foods work, is to record nine different meals, your blood sugar levels before each meal and 2 hours after. These nine meals should include 3 breakfasts, 3 lunches, and 3 dinners. This homework, allows you to see the connection between the foods you are eating and what your blood sugar response is to them. The ‘pre’ meal and ‘postprandial’ (2-hr) blood sugar levels help to guide what portion sizes, fat totals and carbohydrate totals you should be adhering to with each meal for the best results. Review your food log for the nine meals. You will then evaluate them to find the average pre and post meal levels for the three separate meal categories (breakfast, lunch and dinner). 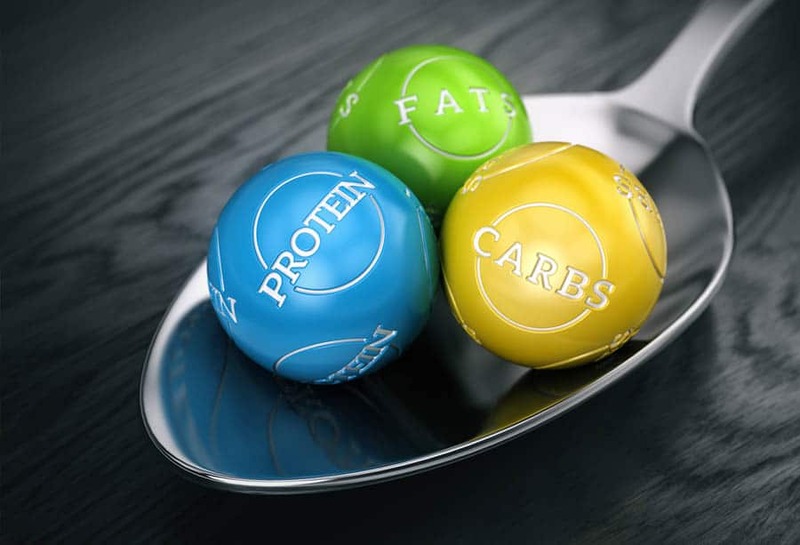 From here you will want to find the average for the total carbohydrates consumed as well as the total fat. The information from these averages allow you to determine whether or not the carbohydrate and fat intake should be reduced to improve blood sugar control. Your carbohydrate intake will vary with each meal. The time of the day, your activity levels and the potential insulin resistance all play a role in determining your blood sugar levels. With this given information you can learn to create a meal plan with your dietary needs for each meal to produce the best results. It’s important to note that while an initial meal plan with carbohydrate, fat and caloric intake may work in the beginning, there is a good chance that this meal plan will need to be reevaluated as time goes on to help ensure consistency in blood sugar management. Postprandial blood sugar levels are very important when it comes to your overall diabetes management and control. Higher fluctuations within the 2-hour mark after a meal is consumed often times cause increased a1C levels. Based on the blood sugar numbers you are seeing for postprandial results, you may have to consider altering how many calories, carbohydrates, protein, or even fat totals you are consuming with each meal. Unfortunately, there is no magic formula that can help pinpoint totals with precision accuracy. Diabetes is so unpredictable on any given day that it takes a lot of trial and error to find out what foods work best for your body. If you are looking to lose weight, this should be taken into consideration when it comes to finding the best foods for long-term diabetes management. You will still want to keep track of what you are eating, as this will be a valuable tool for both you and your doctor in determining your meal plan. From here, your doctor may make recommendations on the types of foods and their totals that you should try to stick to for not only the best blood sugar results, but also the best weight loss results as well. Many people, when first diagnosed with type 2 diabetes are under the impression that they must avoid ‘sugar’ completely. However, the homework above will teach you that this is NOT the case. Instead, learning to read nutrition labels for carbohydrate, calorie and fat totals can help you manage your diabetes better than restricting your body from sugar (carbohydrates). Your body still needs carbs to convert into energy. 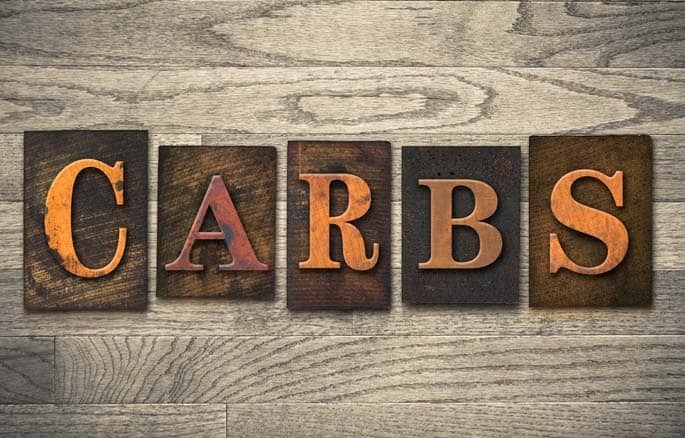 Without consumption of carbs, your body will instead start to take from other cells in the body, causing an acidic state known as diabetic ketoacidosis. This condition is potentially life threatening if not handled immediately. While uncommon in type 2 diabetes, DKA (diabetic ketoacidosis) is still a possibility without the proper nutrition. During the process of keeping track of the foods you eat, remember to include the portion size as well. This can help you to learn how the portions of foods you are eating compare to the recommendations by the American Diabetes Association (ADA). Take a look at the list below and compare your portions to it to see how you shape up. When you compare your portion sizes, at first you may notice that yours are much larger than the recommendations and that’s alright. Now is the time to make the change gradually by starting with learning how to measure and weigh your foods with each meal to ensure you have the exact portion. After a while of doing this, you may start to notice that ‘eyeballing’ the sizes are much easier. Also include in your homework the times you eat your meals. This will help you to see if you are on a consistent eating schedule or if a change is needed. By scheduling your meals on a consistent schedule (around the same time each day) this will help you to better learn how foods are affecting your body and blood sugar levels. The time of day, surprising enough is also another factor that can affect your levels. By keeping a consistent schedule, this will allow you to maintain optimal levels as best as possible. Your diabetes meal plan will be your guide on how much and what types of foods you should be eating for meals and snacks. It’s important to ensure your meal plan fits in with your schedule and also your eating habits. You can also download our diabetes management guide to get started. Like everything else, diabetes related, there is no perfect meal plan or perfect foods. The key to a healthy diet is to make choices from each of the food groups to ensure you are getting a wide range of vitamins and nutrients into your daily diet. While this list is just a brief summary of the types of foods that may be more beneficial to managing your blood sugar levels, here you will find an indexed food list, information on the glycemic index and glycemic load and much more. Just because you have type 2 diabetes doesn’t mean you have to eat differently than the rest of your family. You can still eat the same types of foods everyone else loves, you just have some additional work and planning to do first. Learning more about each of the food groups and the foods in them will help you to avoid overeating in one group versus the other, as well as how foods affect your blood sugar levels. 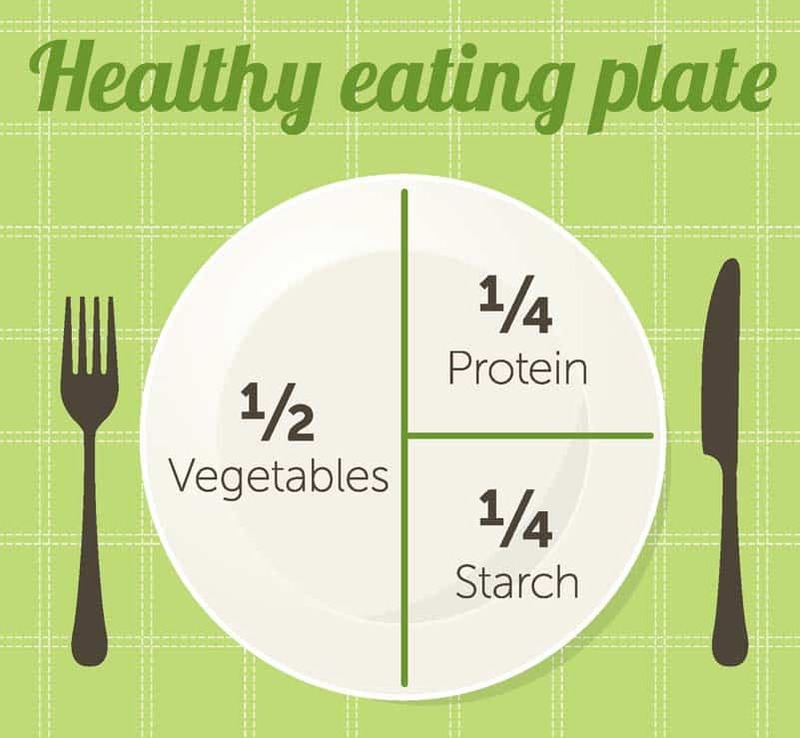 The plate method is an effective tool in managing your blood sugar levels, and to help those looking to lose weight. You will want to fill up your plate with way more “Non-starchy” vegetables and much smaller portions of starchy foods as well as protein. With this method of meal planning, there is no counting necessary. However, it’s important first to discuss with your doctor or diabetic care team members if this method of meal planning is right for you. Include a low calorie drink such as water or even unsweetened ice tea to complete your meal. Learning what to eat when you have type 2 diabetes can be challenging at first and sometimes overwhelming. This is why it is very important to develop a support network such as friends, family members or medical professionals to help you get through and answer any questions you may have. You will notice that the further along you get and more familiar you become with everything, the easier planning your meals is. My Blood sugar level (fasting is about 151 mg/deci litre). I am tested diabetic and on medication. What should I do to reduce it to about 100 mg/dl. I walk about 4 km per day and have control on intkae of food.